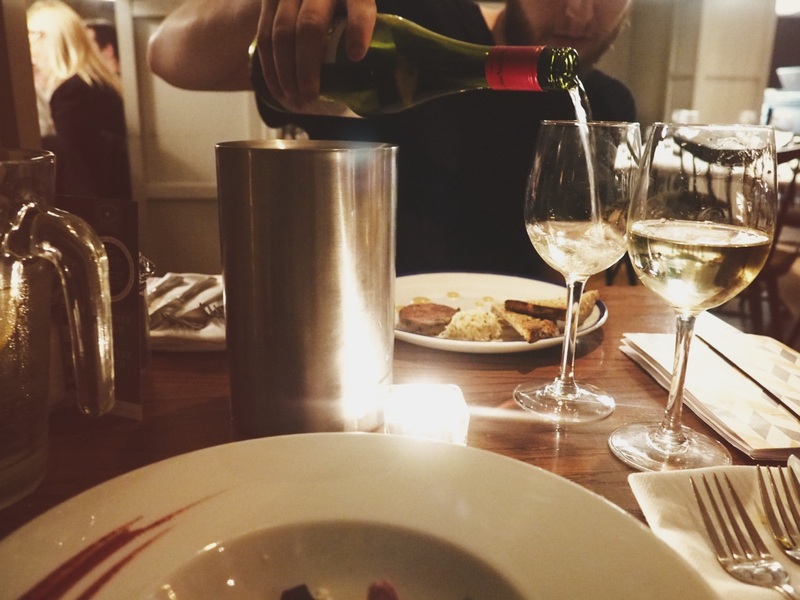 Last week, James and myself were invited along to The White Star Tavern to sample their evening menu. 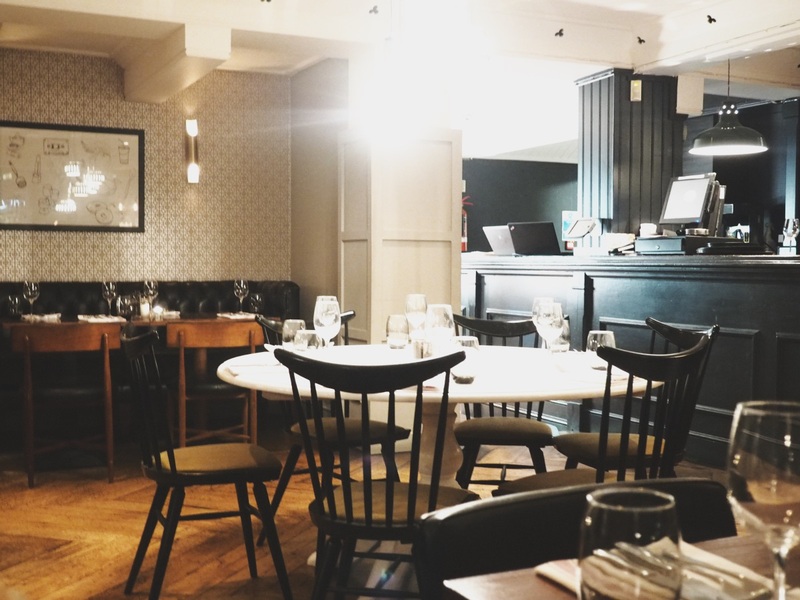 In all my years living in Southampton, I had only been to The White Tavern once before last Friday, but that was only for a quick coffee, so I was rather excited to indulge in some of the mouthwatering meals they had to offer. We both spent the week before looking over the menu time and time again, counting down the days until dinner. The White Star Tavern is highly commended and has been recognised for its use of local sourced ingredients with the majority of its produce coming straight out of Hampshire and the New Forest. For this, it humbly boasts 2 AA rosettes. The Tavern itself is situated on Oxford Street, which is the destination in this south coast city for a cosmopolitan vibe, good food and an upbeat night life. 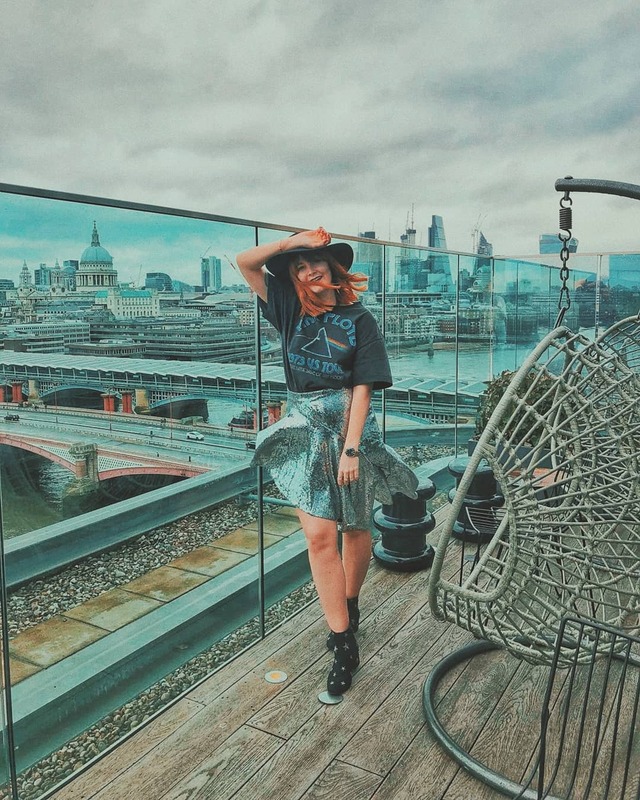 It sits less than ten minutes walking distance of the city centre yet is a far cry from the student dominated atmosphere that holds the rest of the city. Upon our arrival we were greeted by a lively, comfortably busy bar that was alive with that typical, after work, Friday night atmosphere. 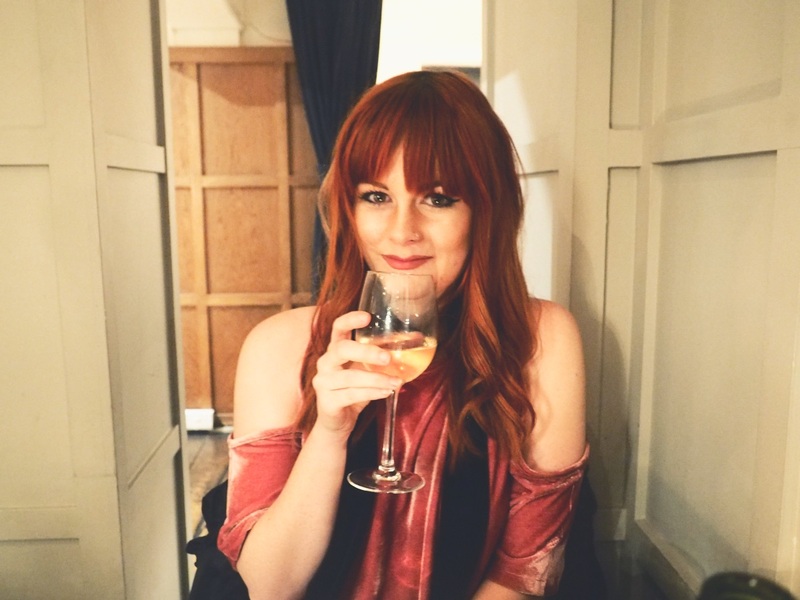 We were lucky enough to walk in during the middle of a live act who was belting out some pretty impressive cover songs whilst we indulged in our starter course. The dining area was tucked away from the crowded bar in the back of the tavern. We were greeted straightaway without any waiting time and were shown immediately to our seats. Now, James and myself are pretty indecisive as a couple. Even though we had studied the menu pretty thoroughly the entire week beforehand in anticipation, we still had not fully decided on what we wanted to eat. Our waiter, Kyle, was really lovely and patient with us. 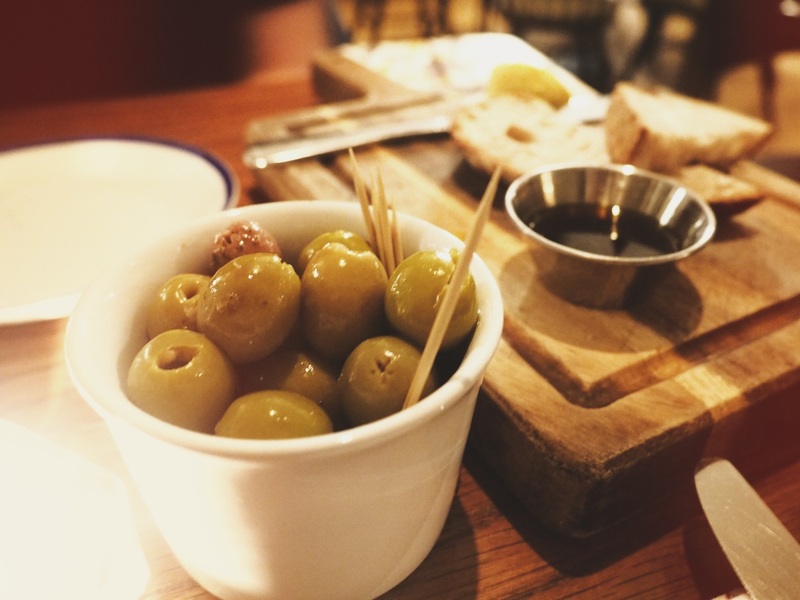 He brought us out some olives & bread to accompany our wine whilst we 'umm-ed' and 'ahh-ed' over the menu. I mean, we were brought out a specials menu, as well as the standard dining menu. That changed the game completely! The opening dishes are fashionably small tasters, which leave room for the much bigger mains. 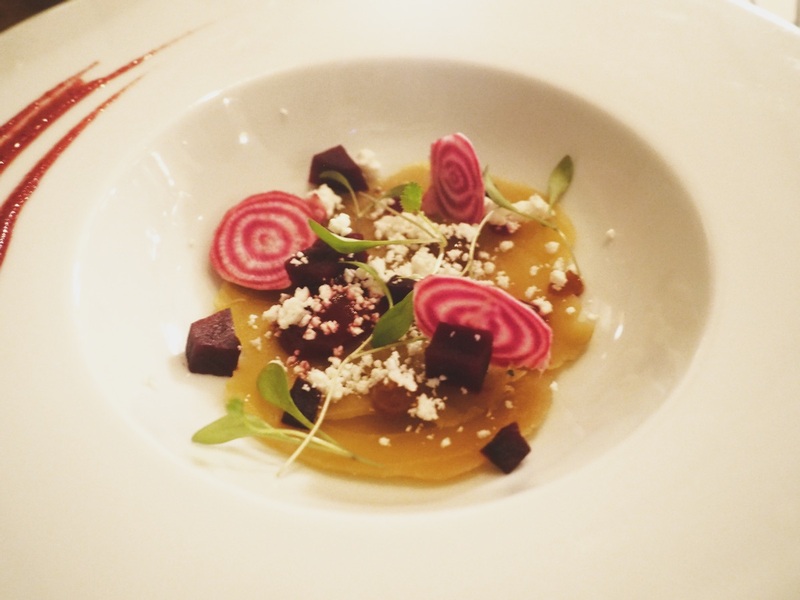 I opted for the visually striking and colourful salted baked & pickled beetroot salad that was sprinkled with a light topping of goat's cheese. I find it difficult to pass up any dish with an appearance of goat's cheese in; I just can't get enough of it. It absolutely did not disappoint either as it was lovely and light, making the perfect nibble to get your taste buds going. 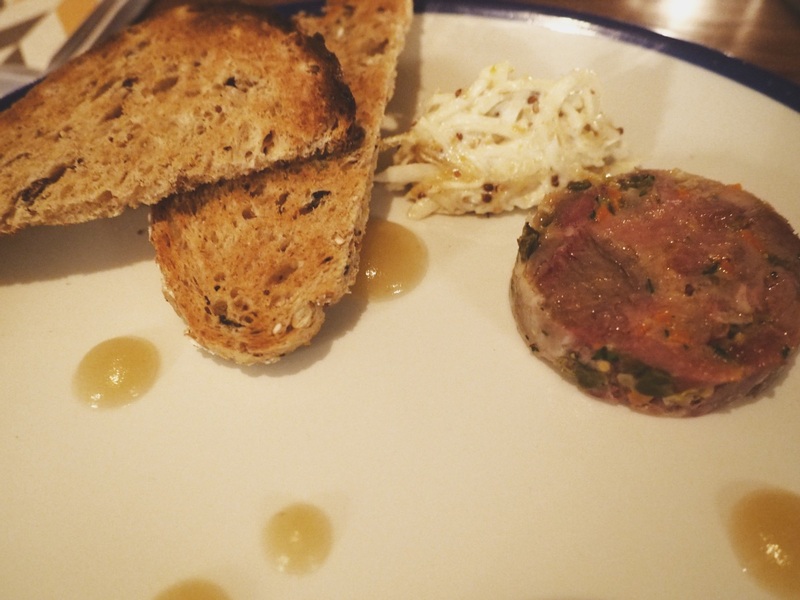 James eventually chose the ham hock and pork terrine with celeriac remoulade and spotted spiced apple ketchup. Once again, it was a visually striking dish that was laid out wonderfully. Now the ham hock and pork terrine was not to my taste, but James wholly enjoyed it and sang its praises whilst eating. When it came to choosing the mains, we were absolutely spoilt for choice. Of course if there's a burger on the menu at least one of us has to try it out for BURGERFACE (you can read his review there). 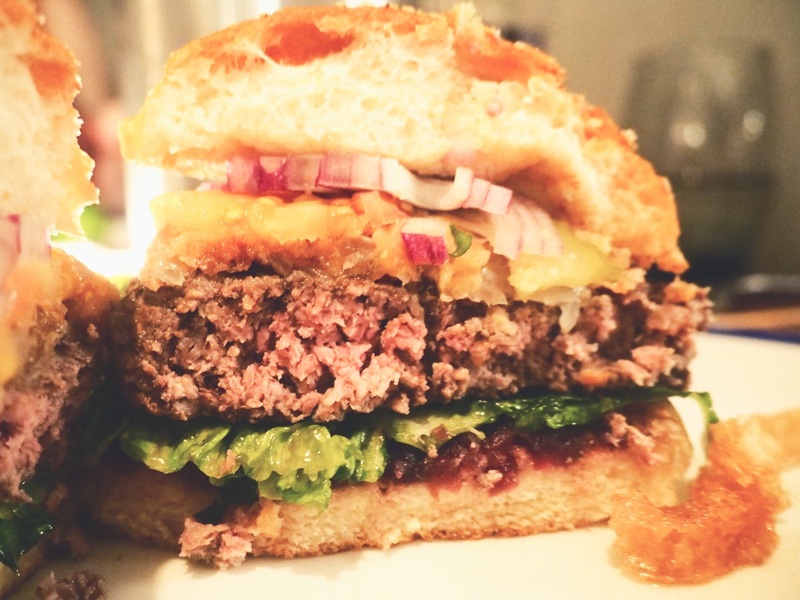 James happily took the role of official burger tester, whilst I was taken by the sound of the rib-eye steak accompanied by parmesan and truffle fries. I like my steak medium rare, so it's brown on the outside with a splash of vibrant, succulent pink on the inside. However, when I ask for medium rare it's well... RARE that it's ever cooked to my taste. I was pleasantly surprised when I cut into my 8oz rib-eye that it was cooked and seasoned to perfection. It was so good that it certainly stepped up to rival Rancho's (our local steakhouse) offerings. The fries that were topped with parmesan and had the delicate taste of truffle were so delicious that we've decided to add parmesan to our own homemade fries more often. We reluctantly accepted the offer of the dessert menu, because at this point we were suitably full. 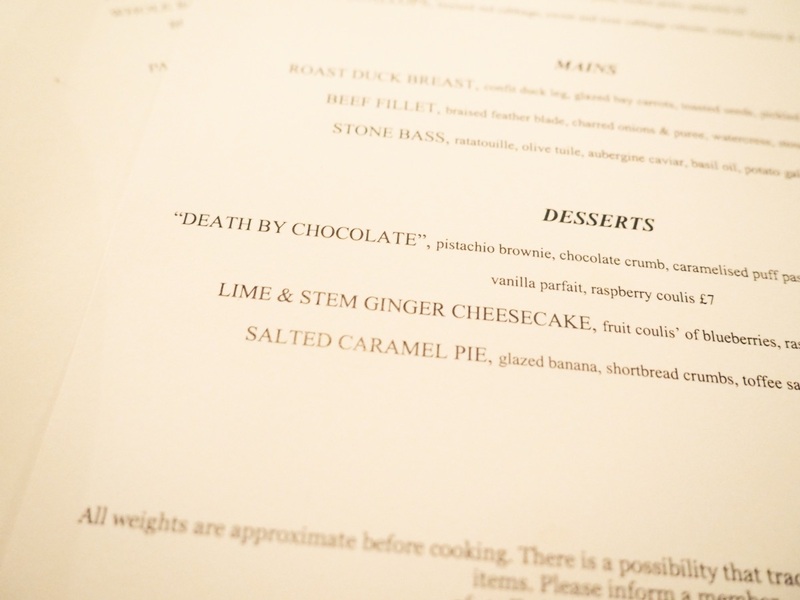 However, I could not resist the pull of an option on the special menu fittingly named 'Death by Chocolate'. As a self-confessed chocolate lover (seriously, I could eat a mound of chocolate until I am physically sick - I have no restraint), I could not pass up the opportunity to at least sample a bite despite my stomach telling me 'No Leigh. NO MORE FOOD.' James, on the other hand, wimped out and opted for a New Forest selection of colourful sorbets. Now, the sorbets were delicious and cleansing after a heavy meal, but 'Death By Chocolate' was an absolute masterpiece. I am gutted that I couldn't get a truly great photo of it as I'm still getting to grips with my Olympus PEN. 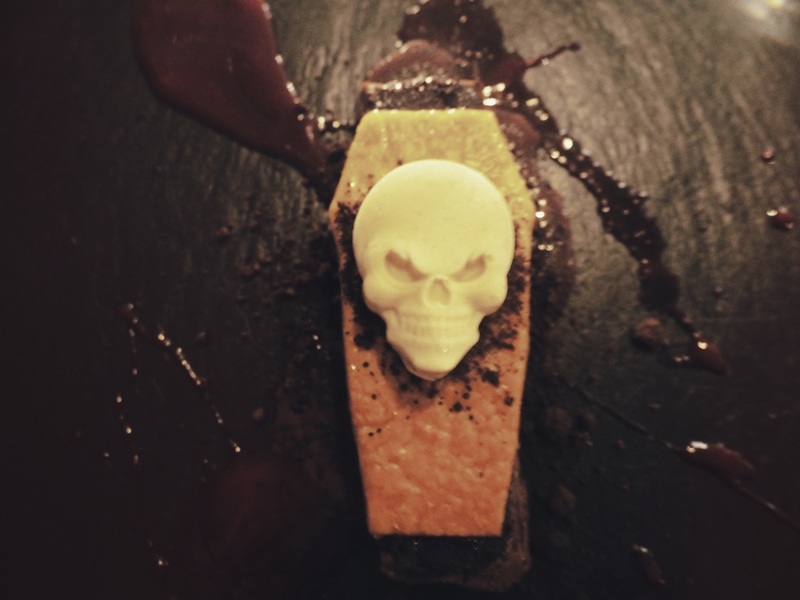 Delivered to our table was the most spectacular and showy dessert that had been built in the shape of a coffin topped with a vanilla parfait skull. With a pile up of pistachio brownie, chocolate crumb, caramelised puff pastry, vanilla parfait and a dashing of raspberry coulis it's fair to say this dessert was aptly named. It was absolutely sensational. The flavours fell into place perfectly. In fact, I even exclaimed it was "probably the best dessert I've ever had". Although it was sickly sweet, the portion size was perfect and it went down a treat! 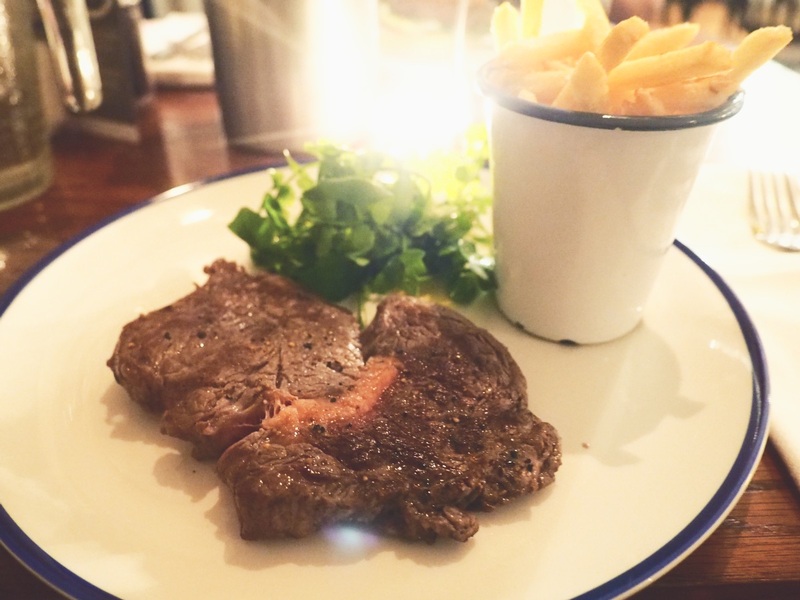 Our evening at The White Star Tavern was highly enjoyable and the food was wonderful. 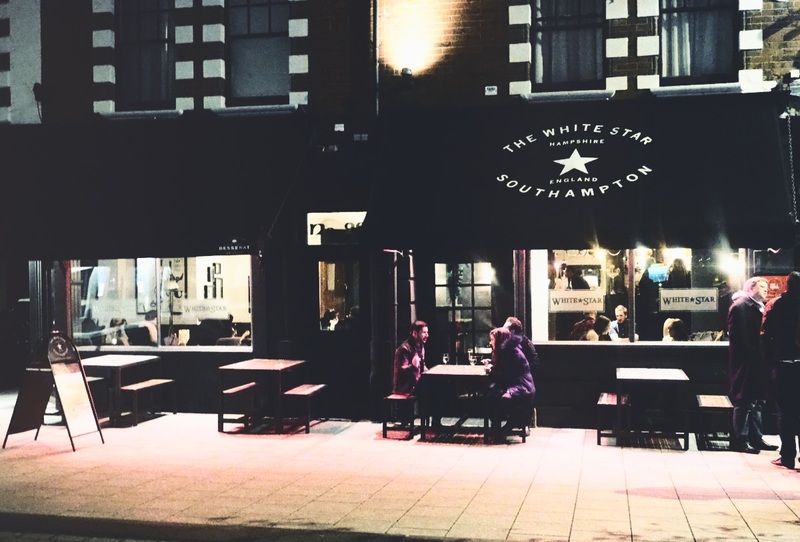 If you're looking for a restaurant in Southampton then do consider The White Star Tavern. 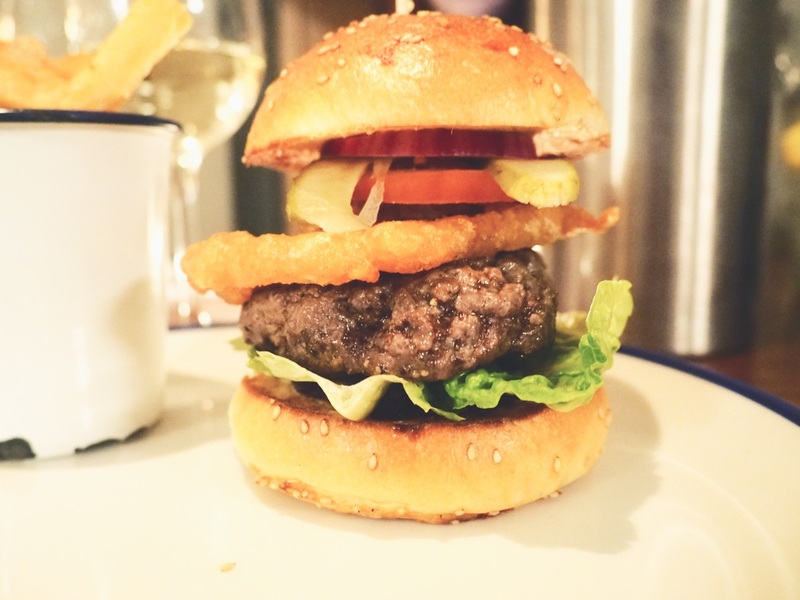 *Disclaimer: We were invited for a complimentary meal at The White Star Tavern in exchange for an honest review - it really was that delicious! 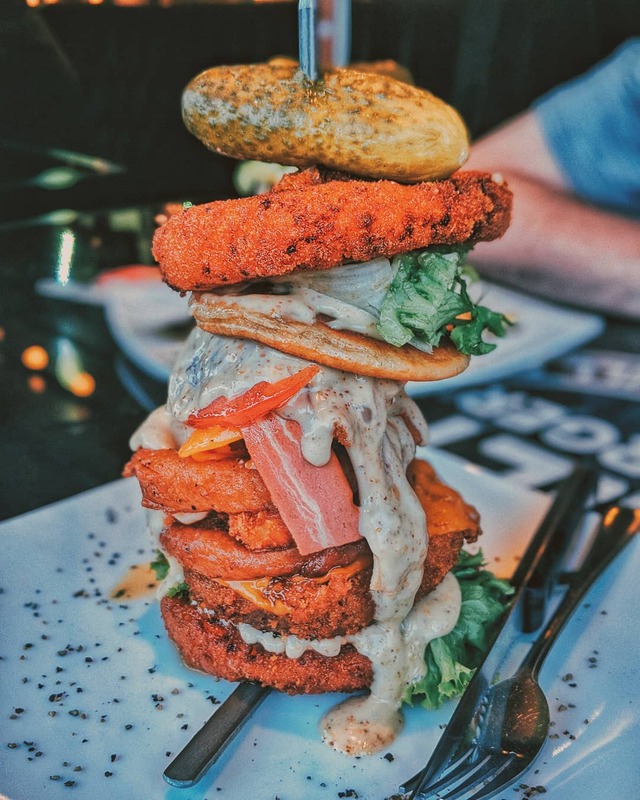 Wow that looks absolutely mouthwatering!